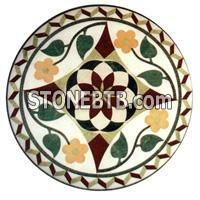 Stone Mosaic Pattern table ,Marble Mosaic Pattern ,Granite Mosaic Pattern table,Slate Mosaic Pattern ,Glass Mosaic Pattern picture . Sizes: 100X100cm (39"X39"), 120x120cm (48"x48"), 120x150cm (48"x60"), 120x90cm (48"x36"), 150x150cm (60"x60"), dia 39" (100cm), dia 48" (120cm),etc. Colors: Black, mixed, grey, brown, beige, yellow, red etc. 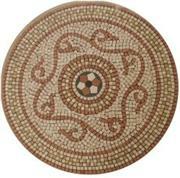 Usage: Wall,Floor,Kitchen,Bathroom,Swiming Pool,Hotel Lobby,Table Top decoration. Main Market: Europe, America, Australia and the Middle East. Package:By strong fumigated wooden crates. Payment:T/T (40% deposit, balance should be paid before shipping).